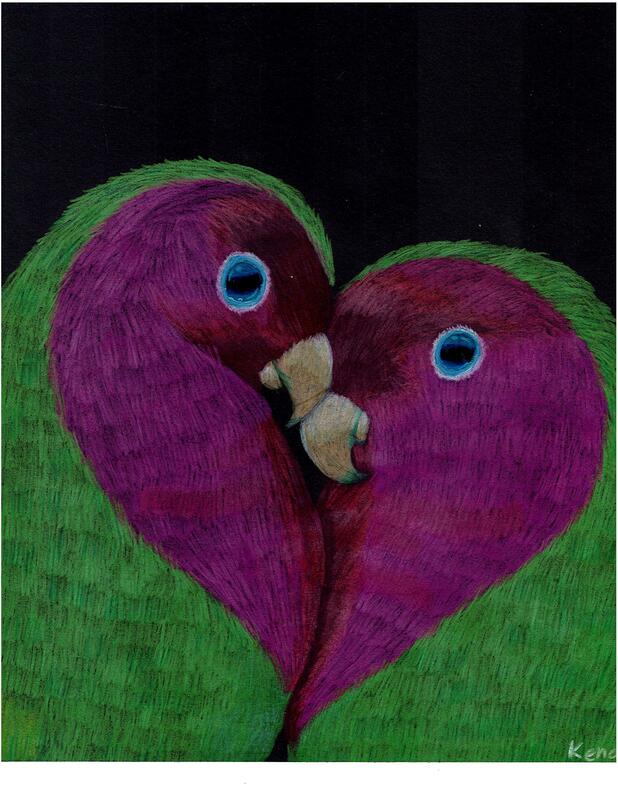 When I first saw a picture of these Rosy-Faced Lovebirds I thought “how beautiful!” I just love how the picture was taken and I knew I wanted to make it my own and turn it into a piece of art. This is a very social bird that generally lives in southwestern Africa. They live to be about 15 years old and they grow to be about 7 inches tall. I loved learning about this beautiful bird! I love birds with personality, and I think that the house sparrow has some of the most character of any bird. It is a numerous, everyday bird that is often overlooked, but if time is taken to study the house sparrow, many interesting things can be discovered about its behavior. 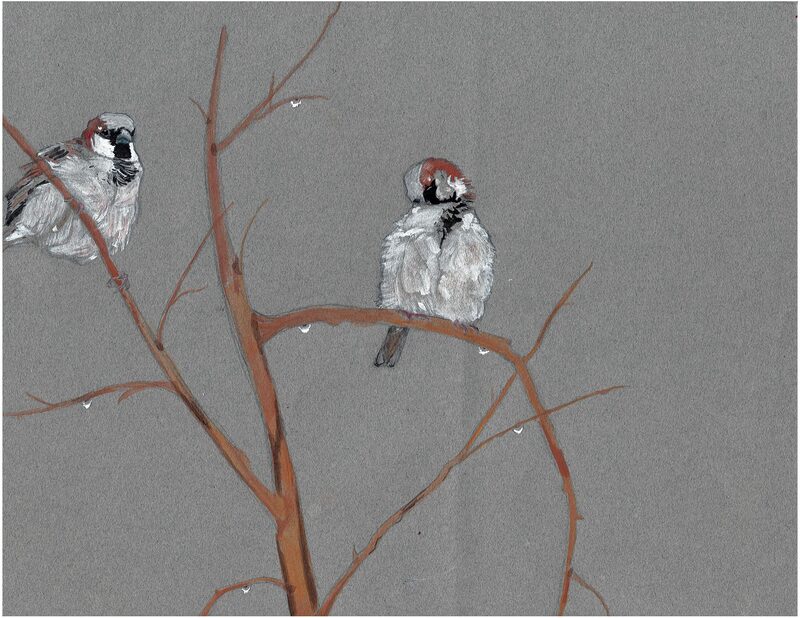 I have spent many delightful hours watching the house sparrow. It is such a common bird that I don’t even have to go out of my backyard to see it. 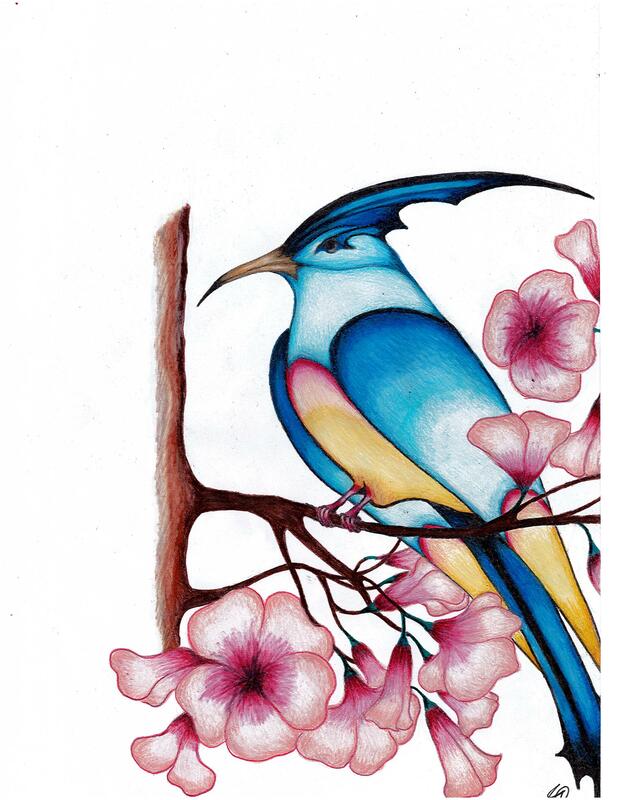 In my painting, I wanted to show the beauty of this unique bird, one of my favorites in the bird family. I like the Golden Pheasant because it is such a colorful and pretty bird. The Golden Pheasant can be found in China. Boy Golden Pheasants are colorful to attract girl Golden Pheasants. They are terrible at flying. But good at running. They eat tiny reptiles, seeds, and grubs. This swordfish bird comes from my imagination. I love bright colours, therefore I chose a mixture of colours which is somewhat unreal. I always liked attracting birds and animals. Usually, I like birds with long crests. 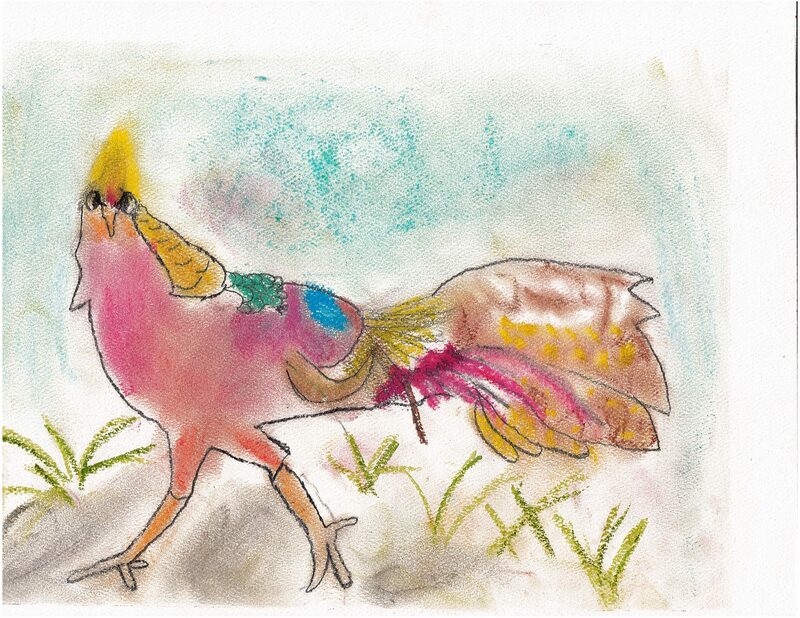 This entry was posted in Taking Flight: Juried Youth Art Exhibition and tagged Golden Pheasant, House Sparrows, Rosy-faced Lovebirds, Swordfish Bird, Taking Flight 2018, Young Artists 2018 on November 16, 2018 by Sean K..